Wrangler's Roost is a western-themed resort that offers many fun activities on-site, as well as proximity to hundreds of restaurants, theaters, golf courses, etc. 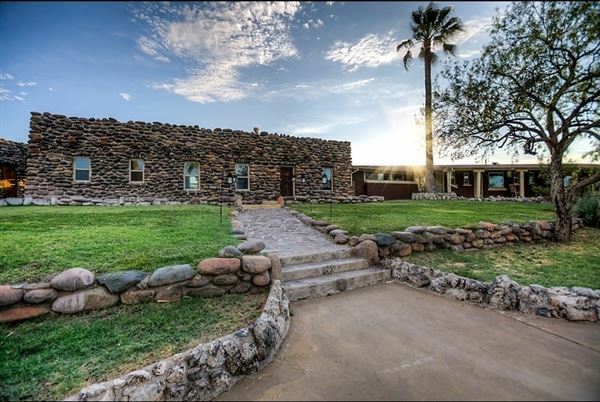 This beautiful five bedroom, five bath home is located in the historical Wranglers Roost. Wranglers Roost was a stage coach stop in the late 1800’s and then built as a resort in 1930. Fully renovated, while still keeping the old time Western flavor of the original resort, Wranglers Roost offers several acres of play area, the perfect place for your family get together.